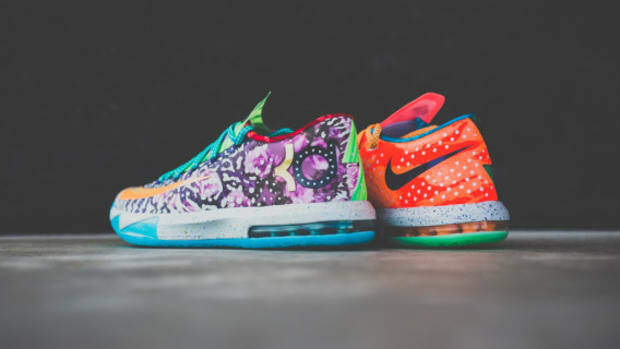 Kevin Durant&apos;s game has always focused on footwork, which is exactly how the Nike designers shaped his latest signature model, the KD 6. 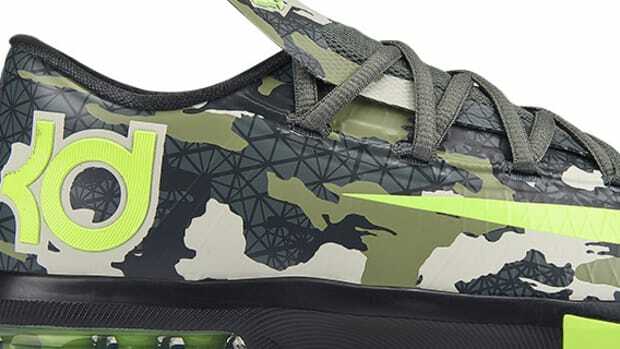 Using ultra thin, two-layer Flywire for a tight, but lightweight fit, a Hyperfused upper, and a Max Air unit at the heel for comfort and a close court feel, and a heavily researched traction pattern for non-slip control, you couldn&apos;t ask for anything more. 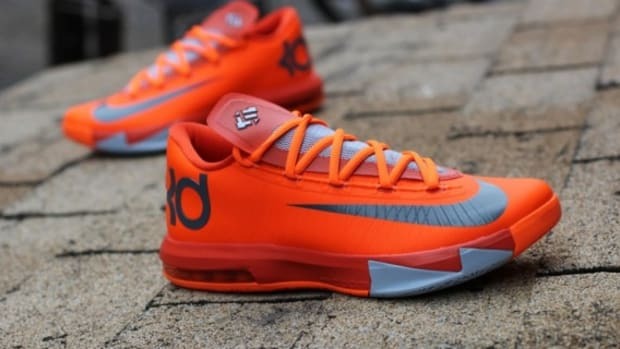 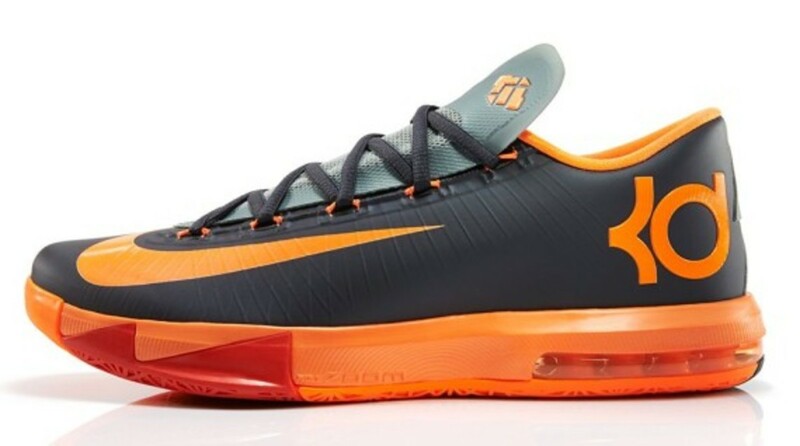 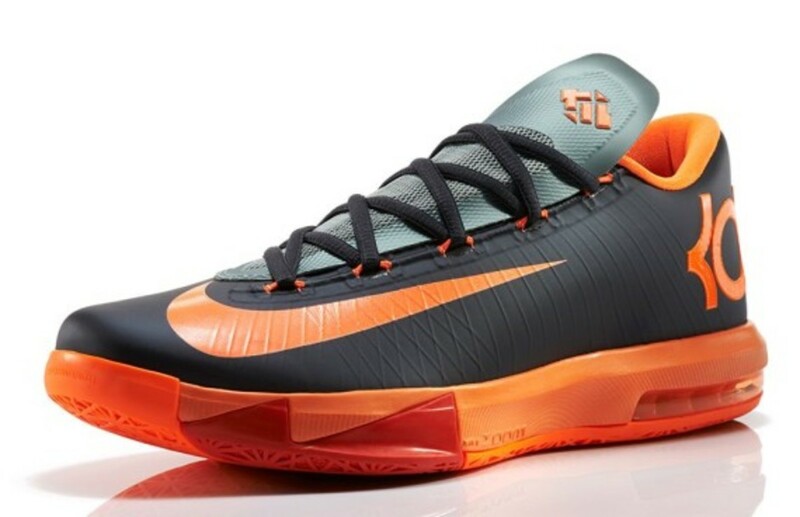 This "Neutral" take continues the theme, keeping things open and flexible for the task at hand, joined with an Orange burst of color on the KD logo, Swoosh, and for the eye-catching midsole, which balances out the Anthracite upper. 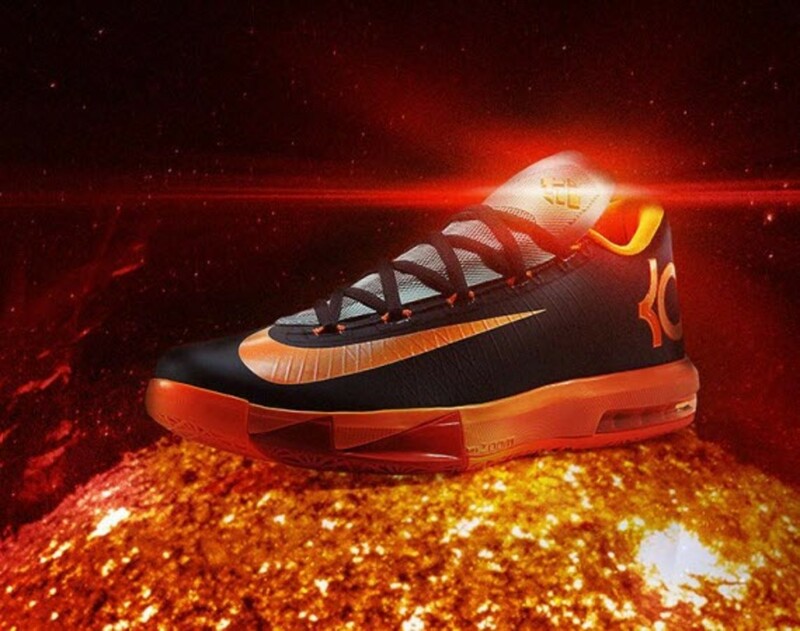 NIke feels the build represents the strike of a blacksmith&apos;s hammer on red-hot iron; shaped by fire. 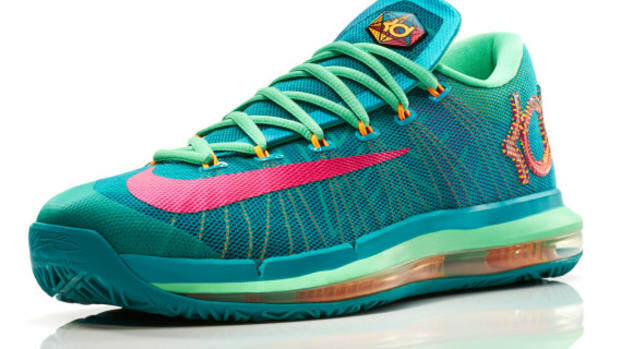 Releasing March 15 via Nike.com for $130. 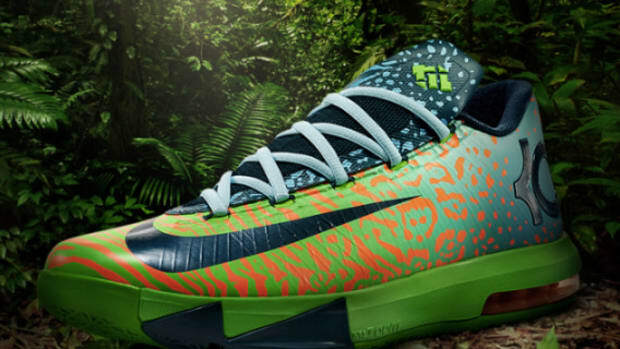 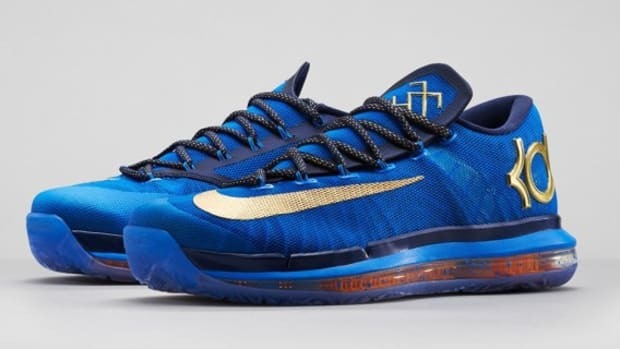 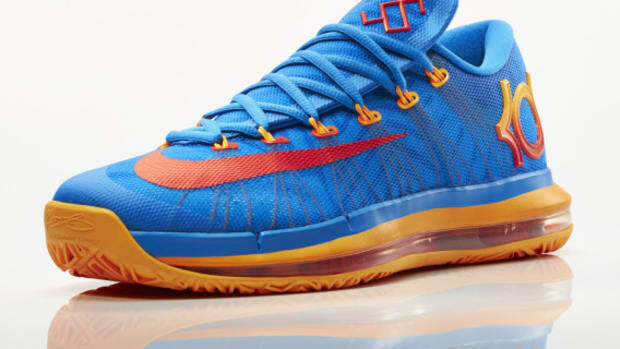 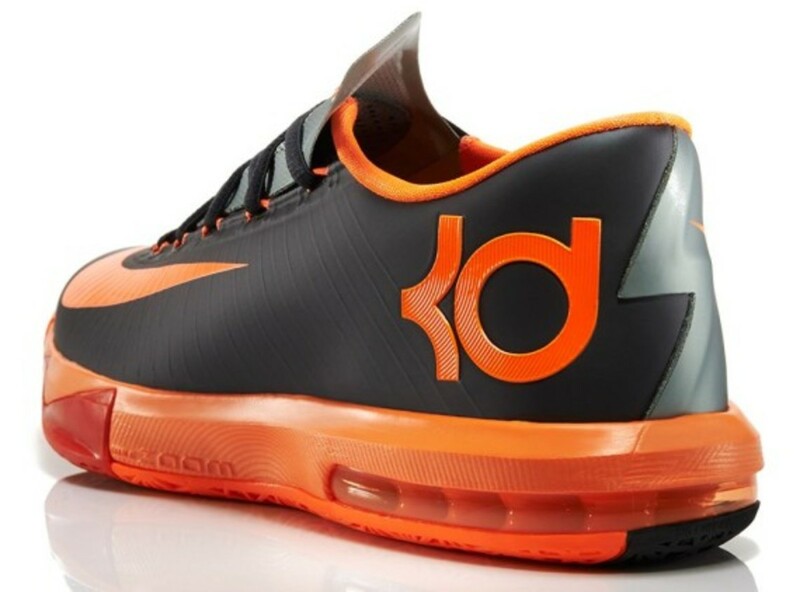 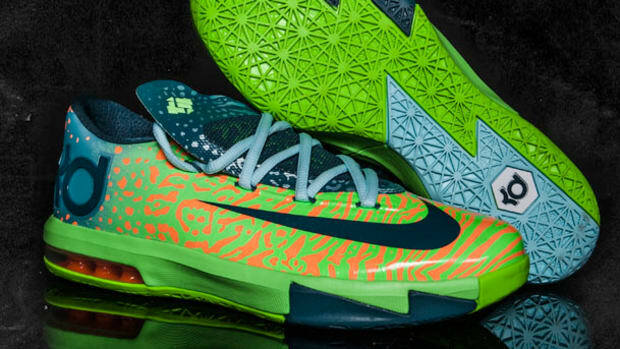 Nike KD 6 Elite "Supremacy"